Good times for east coast Barcade this week! 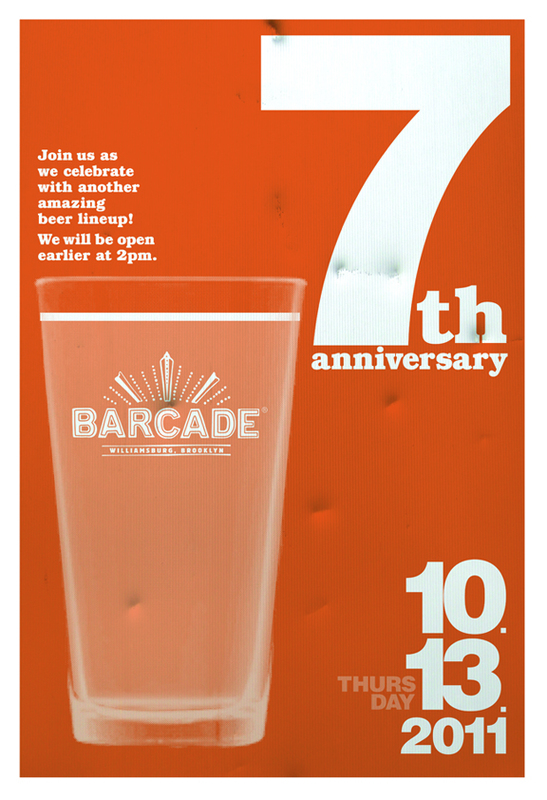 The original Barcade in Williamsburg, Brooklyn opened seven years ago, and will be celebrating its anniversary on Thursday, October 13. 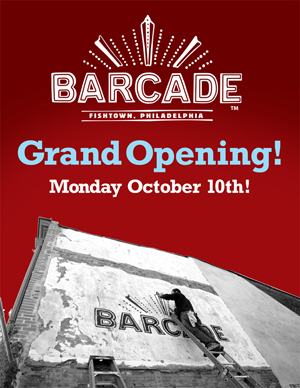 But bigger news is that the third location just opened on Monday (today!) in Philadelphia. 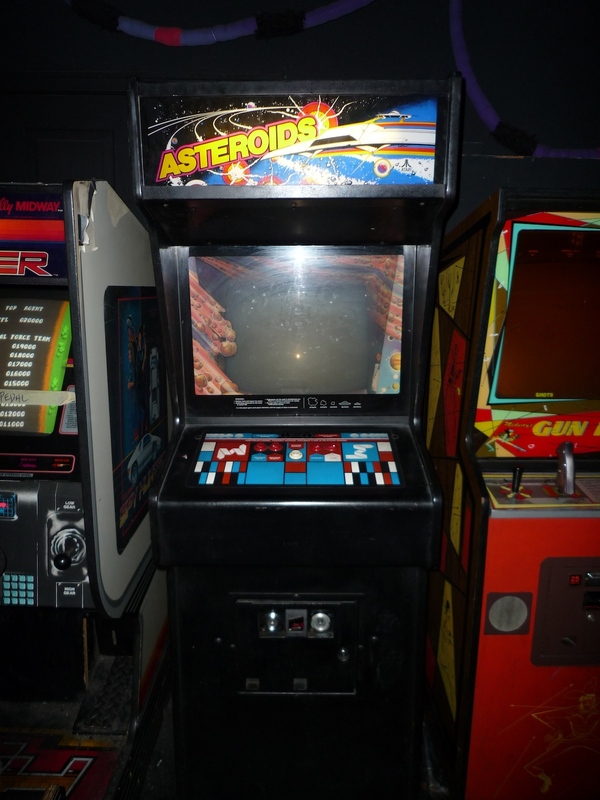 It houses Asteroids Deluxe, along with a whole slew of other classic arcade games and good craft beer. 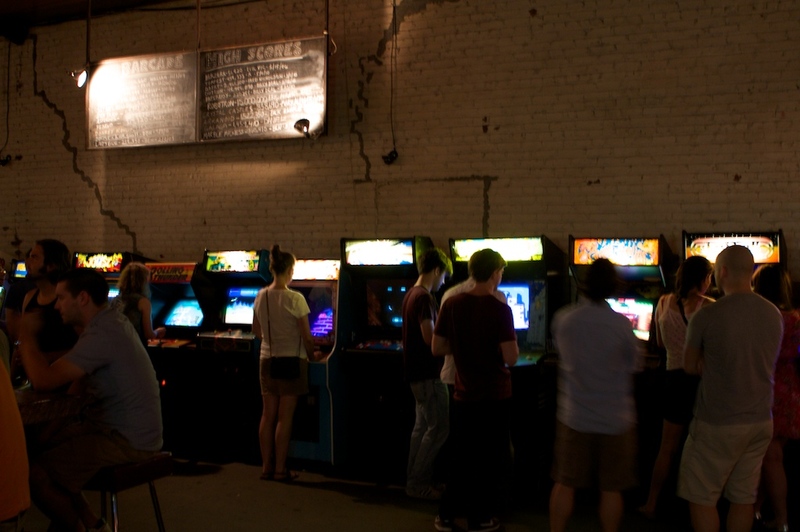 This follows on the heels of a Jersey City Barcade opening this past April, so if you’re meandering through the tri-state area with too many quarters and not enough pints, you know where to go. 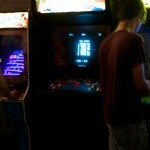 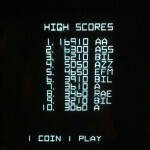 Visit the Barcade website for more information about all three locations. 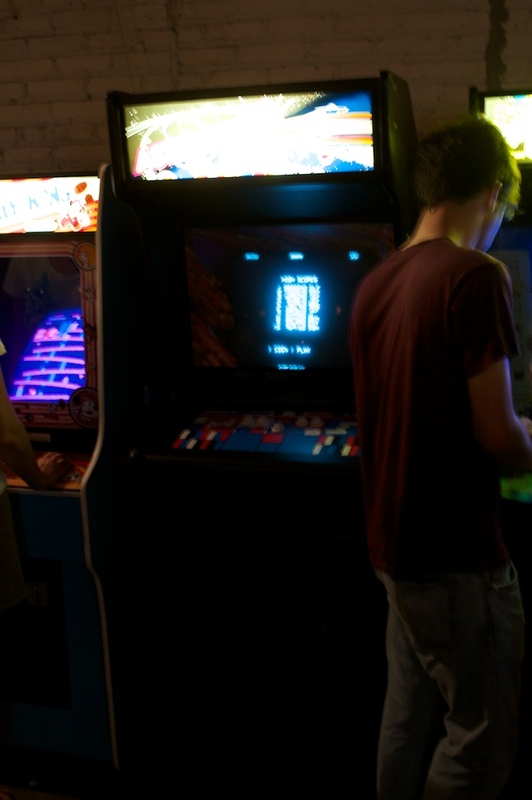 This bar/arcade is a block from the Metropolitan Ave G Train in Williamsburg, with a serious emphasis on both bar and arcade. 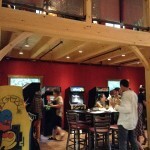 It’s a large space lined with classic games in excellent condition, plus a healthy selection of craft beers on tap. 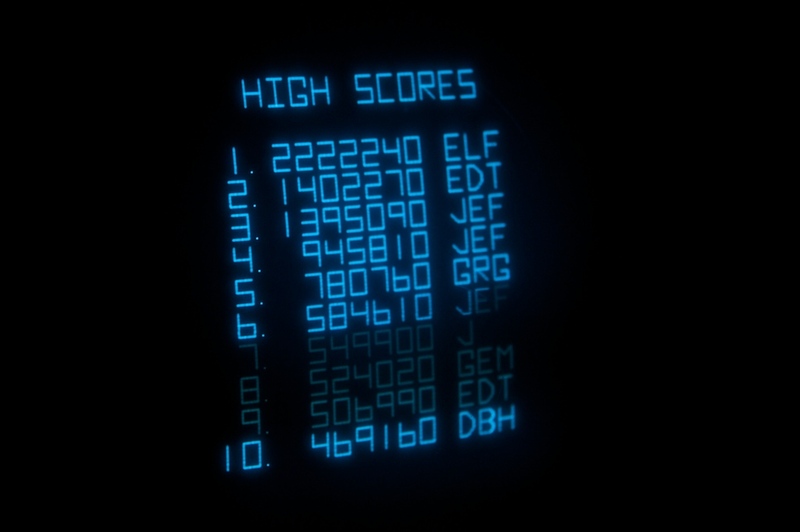 A Barcade High Scores board hangs above the games, and they host special beer and game events (like Wiimbleton) from time to time. 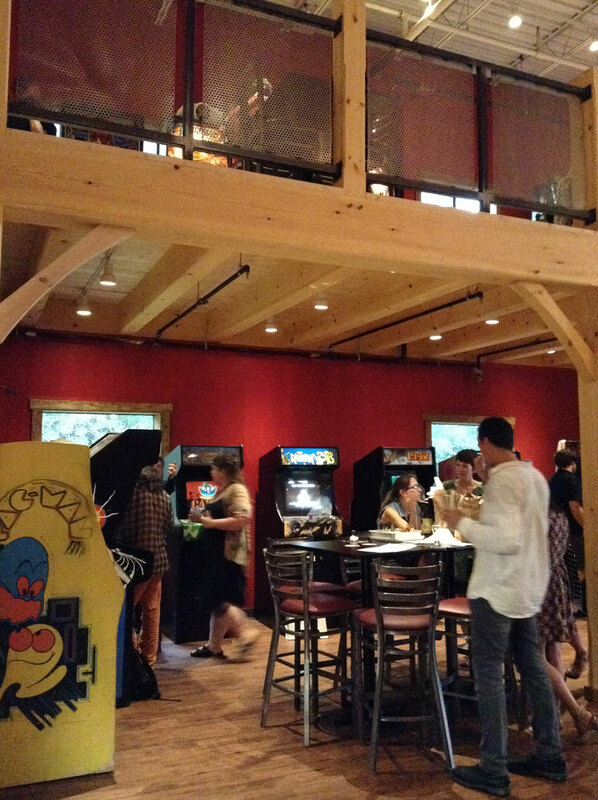 There are tables in the back, and drink-rests between the games. 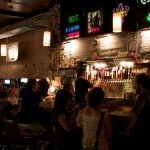 It’s a good atmosphere, although sometimes too crowded to pull a quarter from your pocket. 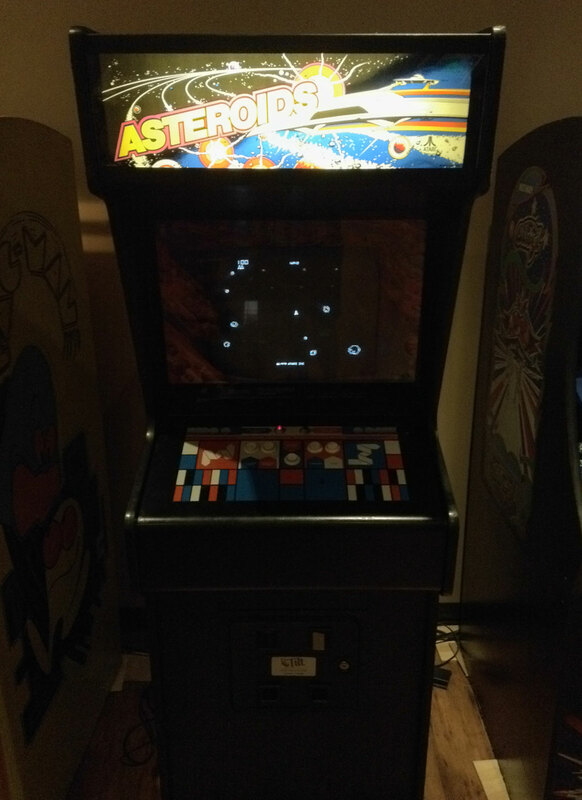 The Asteroids machine is in great shape with a brilliant display, although the buttons are heavier than average and require strong wrists and fingers. 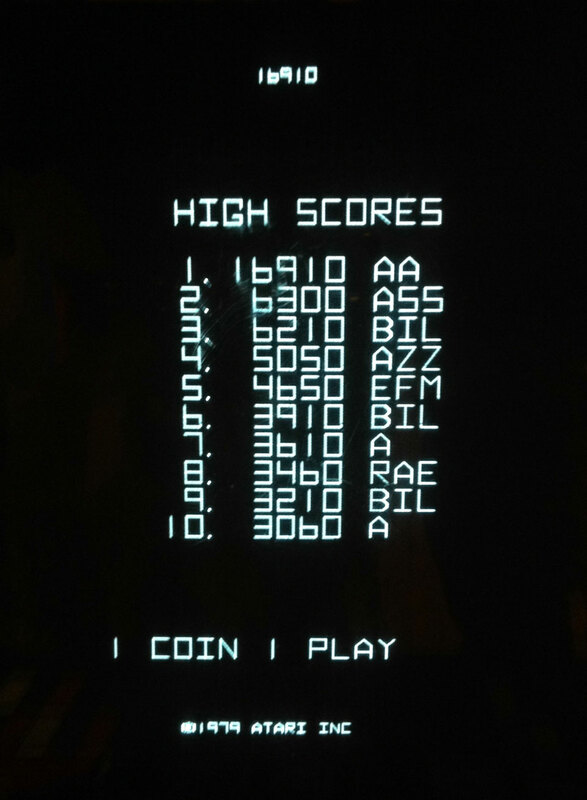 Also, the high score table doesn’t reset when the power’s off, so you’d need to break 469,160 to enter your name. 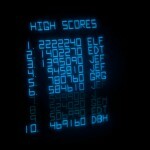 At the time of writing, John McAllister (ELF) tops the house Asteroids chart with 2,222,240 points, set one month before he broke the 28 year-old world record in April, 2010, with a score of 41,838,740. 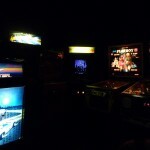 Barcade Brooklyn - Asteroids in center. 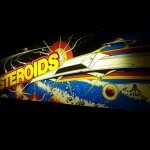 LA’s Barcade is a great dive bar with 80’s toys lining the walls. 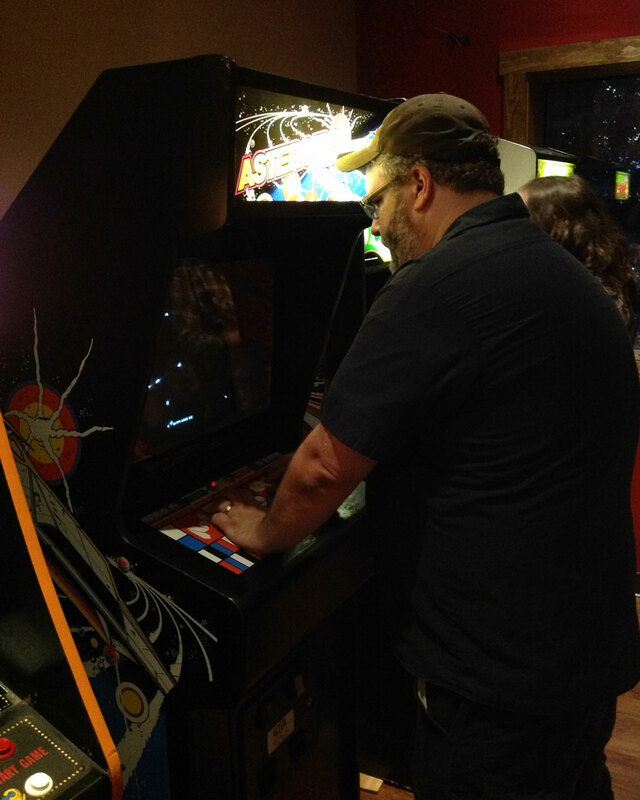 There are three rooms: the bar, the DJ room, and the back room with pinball and Asteroids. 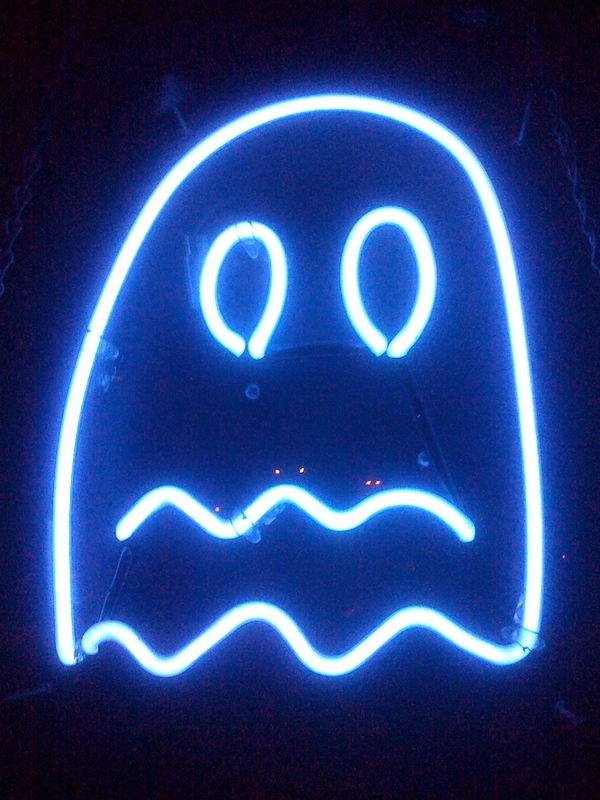 Sometimes the place is empty. 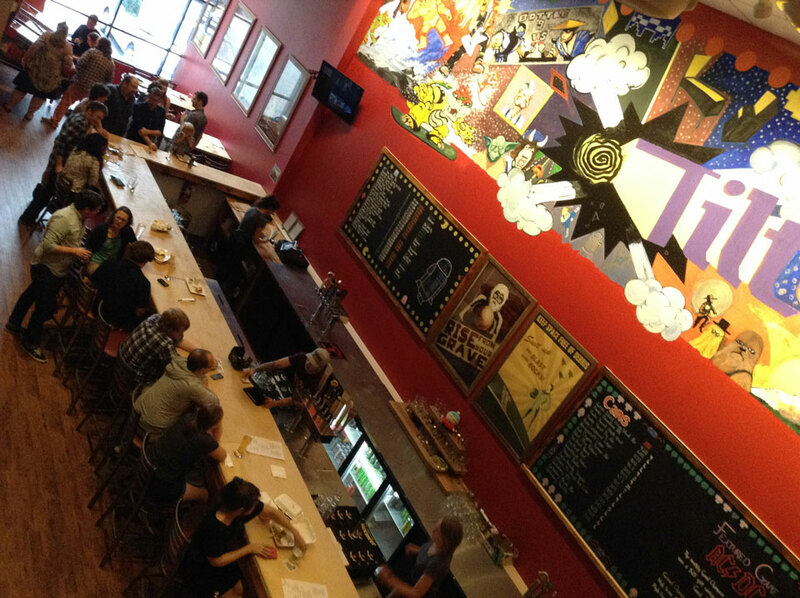 Sometimes it’s packed. 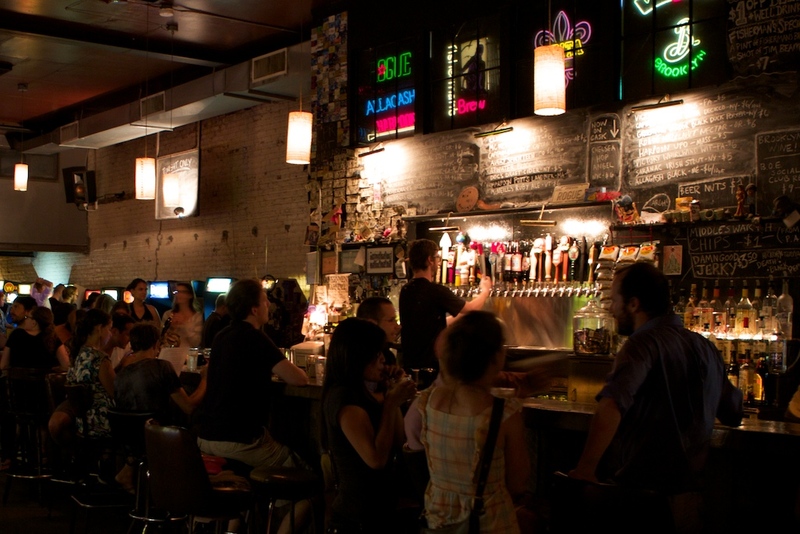 They have movie night (80’s classics) on Tuesday if you show up early. 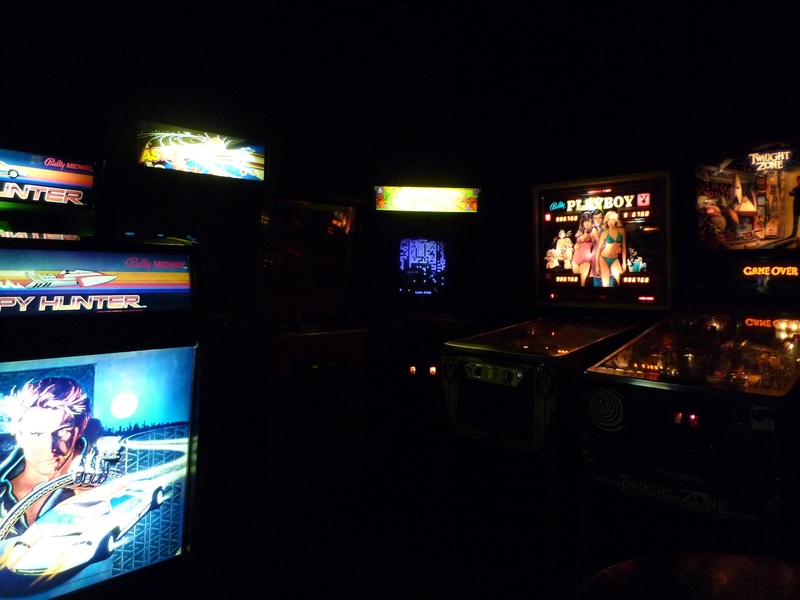 It’s a small but solid collection of classic games, and one of my favorite places in LA. 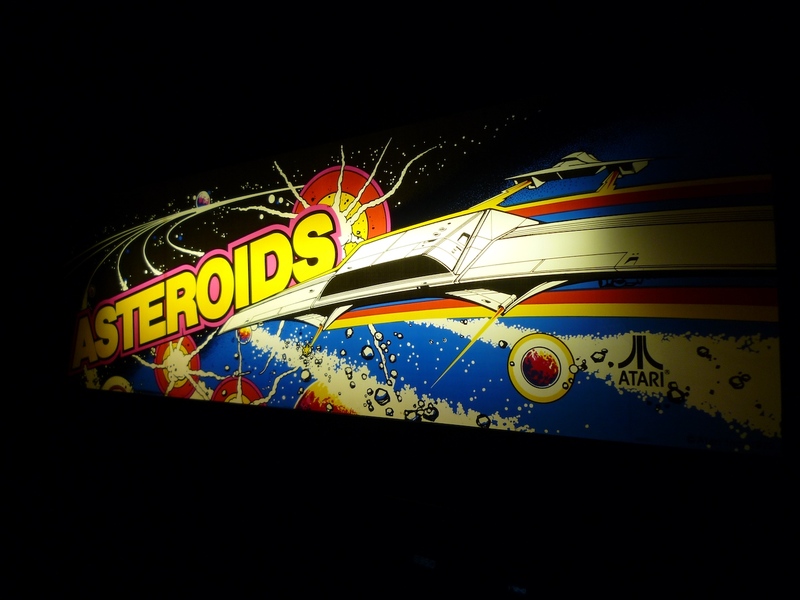 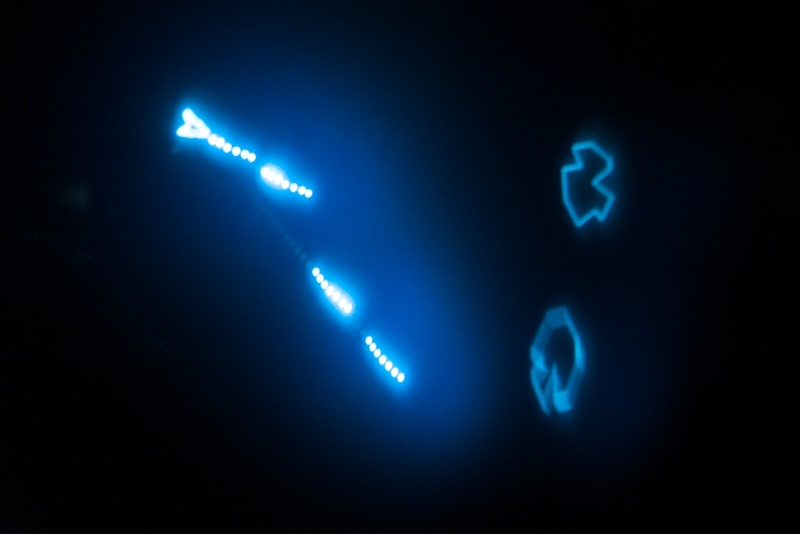 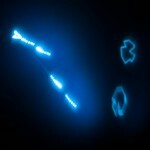 It’s also the best Asteroids machine I’ve played to date. 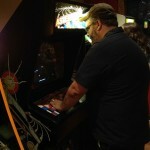 It has great button response and a brilliant display. 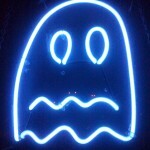 The only signage is a neon Pac-Man ghost, a block north of Beverly on Western, across from that giant modern KFC. 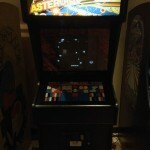 The excellent Asteroids console in the back room of Ms T's Barcade.